A 93-year-old man passed away after being hit by a cable car in March. He was walking in the crosswalk on Mason Street near the intersection of Filbert Street around 3:10 p.m., according to the San Francisco Police Department. While in the crosswalk, the southbound Powell-Mason cable car struck him, knocking him to the ground, resulting in serious injuries that led to his death. 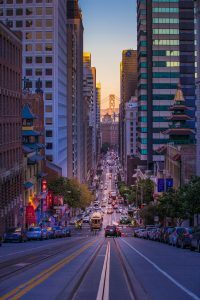 If you have been hurt or lost a loved one in an accident with a cable car, call a San Francisco personal injury lawyer from Brod Law Firm right away at (800) 427-7020. We offer free consultations to learn about your situation and inform you of your rights and legal options. This is not the first time an individual has been hurt or killed by one of the city’s cable cars. Between 2003 and 2013, there was an average of one incident with a cable car per month, resulting in 151 injured individuals and numerous personal injury lawsuits against the city, the Associated Press found. An elderly woman was killed at the intersection of Mason and Broadway after being hit by a cable car in 2008, and then there was a serious cable car incident injuring seven people in 2013. These are just two examples of the tragic accidents that occur with the manually controlled vehicles. According to the AP report from 2013, San Francisco paid an average of $12 million in settlements each year related to its mass transportation system during the preceding three years. During this time, the city paid nearly $8 million to settle almost four dozen legal claims specifically related to cable cars. In 2011 alone, the city settled one case for $3 million after a pedestrian had to have his foot amputated following a cable car incident. If the worst happens and you lose a family member in a cable car accident, contact a wrongful death attorney from Brod Law Firm. We understand how difficult this time is. While you are grieving and laying your loved one to rest, you also need to learn about your rights and legal options. We can explain California’s wrongful death law and compassionately guide you through the process of obtaining compensation for your loss. After getting hurt or losing a loved one in a cable car accident, you deserve to know your rights to recover compensation. Call Brod Law Firm at (800) 427-7020 to schedule a free consultation and learn more.